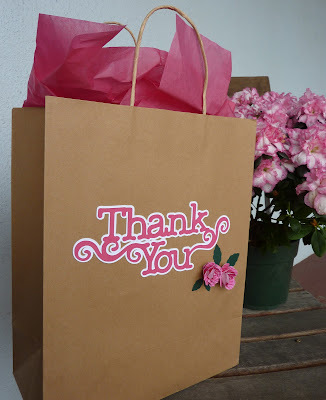 Here's a QUICK way to dress up a gift bag. I bought some treats for a friend who had helped me out lately, and I only had a few minutes to turn an ordinary kraft gift bag into something cute. 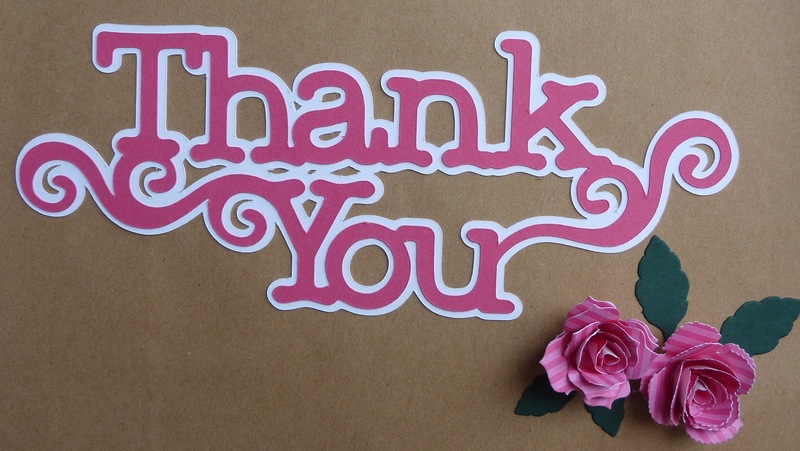 I think this "Thank You" word art is so pretty! I cut it and its shadow at 3" from the Cricut American Alphabet cartridge that is built into my Cricut Expresion 2 Anniversary Edition. 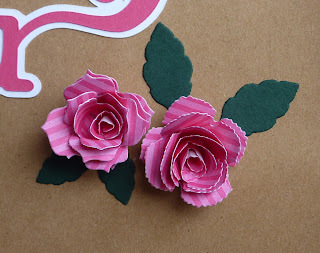 I made these gorgeous flower using the My Creative Time Rolled Flower Dies. The leaves were cut with the Cuttlebug Daisy Quilling Kit. This seriously took no time at all, but made the recipient feel extra special! Gorgeous gift bag! What a quick way to create something beautiful! 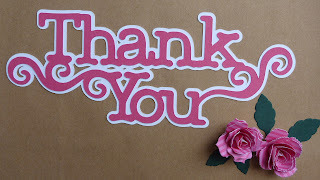 Love the flower die! Kaite ~ I think turned out PERFECT! I LOVe the whole idea! I just bought some bags because of you ~ ENABLER but a good one at that! To change a simple bag into something absolutely WONDERFUL ~ so CLEVER!! LOVE the roses too! As always ~ LOVE it! Such simple changes but makes a huge difference on how the bag looks! Fabulous! Oh it couldn't have turned out any cuter ..
just luv this idea on UR bag!!!cute..cute!!! That is a beautiful font...beautiful bag. Quilling kit? Sigh!